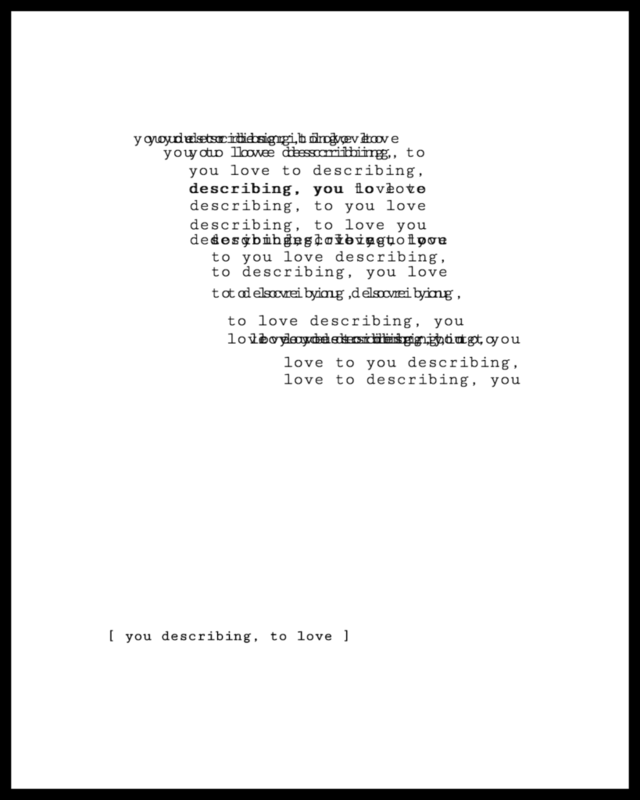 the Making Poems is a collection of computer generated poetry. Each poem in the series includes one gerund randomly selected from Gertrude Stein’s The Making of Americans. A phrase is then generated to include the Stein word with vocabulary and formal parameters programmed by the artist. The text of the poem is every possible permutation of the order of words in that original phrase. Each line a new iteration and meaning of the generated phrase. 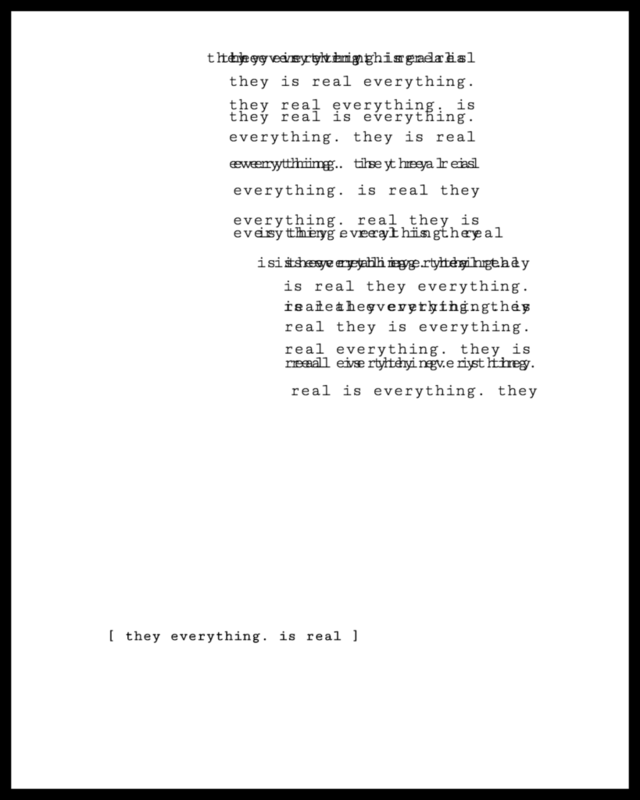 As an additional exploration, these poems are fed through a second script that computationally creates visual interpretations of these data-heavy sentiments. While the Making Poems – as a complete body of work – consists of hundreds of poems and infinite possible visual variations – this self-published collection is a heavily curated selection. 12 poems organized into four sections: making I, making they, making we, and making you. The curation and design of the book are all done by the artist. For you. If you would like to buy a copy please email her.